Why is it important to understand the difference between a CPS and a UPS? Central Power Supplies, also known as static inverters, have the essential role of providing backup power for emergency lighting in unexpected emergency situations. However, in recent months we’ve noticed that there has been a trend for electrical contractors to install UPSs instead of CPSs. The two types of system can look similar but there are important differences that mean that a UPS may not work as intended. The ongoing public enquiry into the Grenfell Tower tragedy has highlighted the importance of ensuring health and safety systems are effective and fit for purpose. They need to work as expected if the worst happens. It’s therefore worth taking a few minutes to understand the technology and the regulations that are at play. This will ensure that emergency power systems are specified, installed and operated according to government legislation. Not only will this protect the people inside the building – but it will also protect the professional reputations and peace of mind of electrical professionals and building owners. What is the role of a CPS or a UPS for emergency power applications? Both CPSs and UPSs can be used to supply backup power in the case of a power outage. The root cause of the outage may be due to unexpected circumstances like fire or explosion damage to the building itself or because of external factors on the power grid. In the case of the former, fire damage to electrical equipment can lead to unusual fault currents on the network. As a result, the backup power supply must be able to clear these faults and then provide up to three hours of power for emergency lighting. Both CPSs and UPSs have the capability to achieve this if a power failure occurs. They both have similar components, including include battery modules that can be built up to provide the right level of backup power over a specified time. They also include control circuitry, alarms, instrumentation and other components such as battery chargers and inverters or converters to switch power between AC and DC. What are the relevant standards and regulations for central power supplies? A range of standards govern emergency lighting systems in the UK. These include regulations that cover fire safety and workplace safety, as well as standards that govern the design, material, size, clarity and location of light fittings and luminaires and central power supply systems. There are also regulations that cover regular testing to ensure that emergency power systems are in good working order and are ready for operation at any time. The BS EN 50171 standard covers central power supply systems for emergency lighting applications in commercial, industrial and large residential buildings. 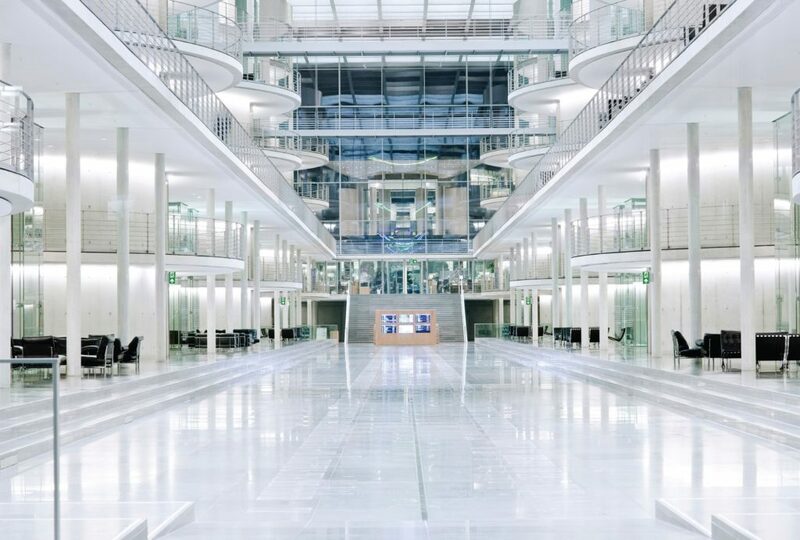 The standard includes the requirement that the power supply must be able to clear any unusual fault conditions in the building and then provide the power needed to illuminate escape routes. In theory, either a CPS or a UPS may be suitable. What is the main difference between a CPU and a UPS? Basically, CPSs are designed and built specifically for the role of supplying power for emergency lighting, whereas extra measures are needed to ensure that a UPS will meet the BS EN 50171 standard. With this in mind, the biggest difference between the two technologies is that CPSs have a higher level of overload protection. This is provided by additional energy storage capacity than comparable UPSs. This gives a CPS the ability to operate a facility’s main switchgear and clear any high-level fault currents and disruptions. It will then provide continuous power for emergency lighting luminaires for at least three hours. A good example of this is ABB’s Emergi-Lite EMEX battery system that typically delivers up to three and a half times the power of its output rating. 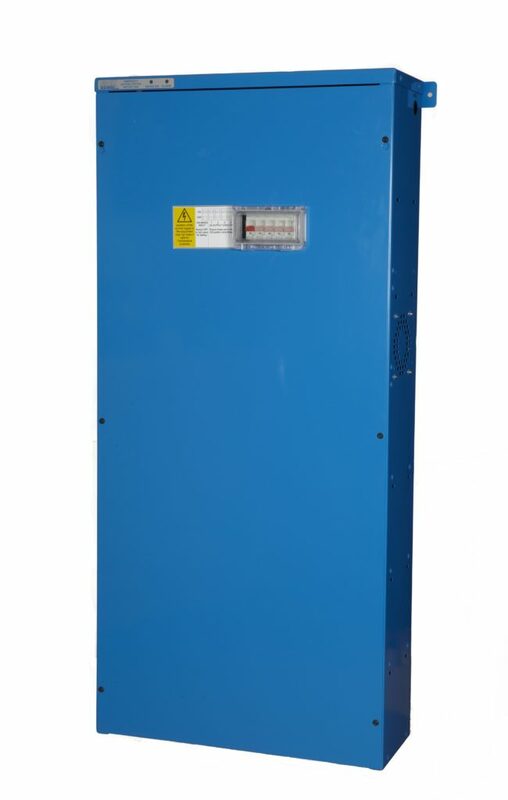 In comparison, when adopting a UPS for the role, these units must be uprated to give them the ability to meet high power to operate the main switchgear as well as the longer-duration emergency lighting loads. Without this additional engineering work, the UPS may not perform as expected should an emergency occur. This means that lighting and other safety systems may not work when they are needed most. The more typical application for UPSs is in data centre and telecoms installations, where their role is slightly different. They provide back-up power over a few minutes, providing a bridge between the loss of mains power and the start-up of a standby generator. However, they can also be used to absorb and inject power to overcome power sags or transient overvoltages that can arise when large loads are switched on or off elsewhere on the power grid. In this mode, UPSs help to avoid the potential damage that transient overvoltages can cause to sensitive to electronic equipment such as server racks or telecoms switches. Are there any differences to CPS and UPS in emergency lighting operations? Once in operation, there is a legal requirement for emergency lighting systems to undergo periodic testing to ensure that they are working as anticipated. Being designed specifically for this role, CPSs can integrate regular testing to meet the IEC 62034 fire safety standard. Manual testing can be expensive, time consuming and disruptive so the latest CPSs have an in-built capability to schedule and record the results of automatic testing of emergency lighting systems. Such automatic testing works by replicating a power cut and then checking the performance of lighting circuits. Test results can then be automatically uploaded to a building management system. This provides the building owner and manager with a complete and centralised record. For this to work, there needs to be a compatibility with the building management system such as BACnet and LONWORKS. This means that building owners and managers can keep reliable and consistent records and the system will send them an alert if they need to take action or plan any maintenance. In comparison, a UPS would need additional engineering work to replicate these arrangements, adding hidden costs to the project. Alternatively, the building owner would need to provide additional administrative support for the entire lifetime of the installation to manage and record the results of fire safety tests. What advice would you give the industry about emergency power systems? While a UPS can be used in emergency lighting applications, a CPS is a smarter choice. It does not need additional engineering work to uprate it to deliver the high level of overload protection needed under the BS EN 50171 standard. In addition, many CPSs integrate automatic testing to ensure straightforward compliance with the IEC 62034 standard. As a result, a CPS is a more straightforward option that gives reassurance that the installation is fit for purpose and will protect a building’s occupants without requiring extra configuration.